Great Gulf will build Canada’s largest residential structure – the planned Mirvish+Gehry project in the heart of downtown Toronto, following the sale of the King St. And Duncan St. site to the developer. The project, including two towers with 82 stories in the east tower, and 92 in the west tower, anchored by a multi-level podium, will include retail, office, institutional, hospitality and condominium suites in the towers. “I am pleased to have concluded a transaction with Great Gulf that will see the realization and fulfillment of my vision for Mirvish+Gehry Toronto,” said David Mirvish, president, Ed Mirvish Enterprises. “I am delighted to have completed the development process that allows Great Gulf to create a wonderful addition to the Toronto skyline. In Great Gulf we have selected a developer who is capable of executing Frank Gehry’s vision, and will work well with him to bring the project to realization. “I believe the project will do honour to the history of the people in the city who built it to what it is today and will continue to project Toronto’s possibilities onto the world stage. 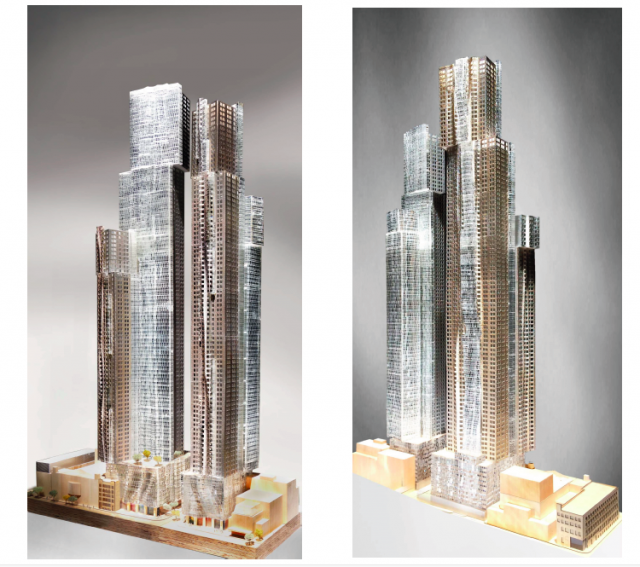 Ed Mirvish Enterprises and Projectcore will move forward to support Great Gulf’s efforts throughout the process as they fulfill Gehry’s vision for Toronto,” Mirvish said in a statement. The announcement didn’t explain the terms or price of the sale. 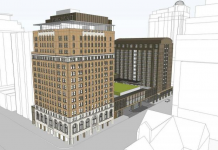 “We are very excited to add this signature project to our Great Gulf development portfolio. It will be Toronto’s first internationally acclaimed development from one of the world’s most celebrated architects, Frank Gehry,” said Great Gulf Homes president Christopher Wein.